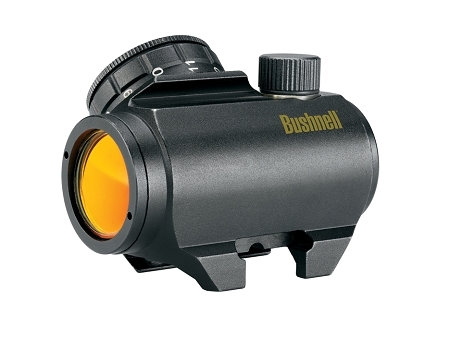 This Bushnell Trophy 1x25mm Red Dot Sight is engineered with Amber-Bright optics. This helps shooters to quickly make the distinction between game and brown foliage. That makes this the ideal sight for deer hunters. Multicoated optics increase brightness in the lowest of light conditions. Made to be 100% waterproof, fog proof, and shockproof, this sight can take the worst the elements have to offer. Powered by a reliable and long-lasting lithium battery, the Bushnell Trophy 1x25mm Red Dot Sight will be ready to go when you need it most to bag that trophy buck.